How we work and how we design alongside you. We typically start our design process by visiting the site and engaging in an in depth conversation with you. We want to design for the 'why’ of who you are and what you do. Why do you get up in the morning? The building is not the purpose of hiring an architect. The activities you do in, around and outside of your building is what should get you up in the morning. Metaphorically, the space you build is the ‘spaceship’ that takes you to the stars. It inspires you to relax or to contemplate. It motivates you to be creative or to be social. It supports your activities in ways that seamlessly make day-to-day life easier, better and more enjoyable. We want to be sure all of your desires are poured onto the table before we begin drawing. Following the discussion, we take every factor into consideration and begin compiling quick sketches to get an idea of the "dance" that will be preformed both inside and outside the space. These sketches evolve into diagrams that are easy to digest. They highlight the different uses for each space, and the hierarchy of each element in a space. After we engage in another verbal and visual exchange, these diagrams are then used to create multiple design studies. More than one concept is drafted to outline every option that fits your needs expressed from the first two meetings and obtained from the "dance" sketches and diagrams. 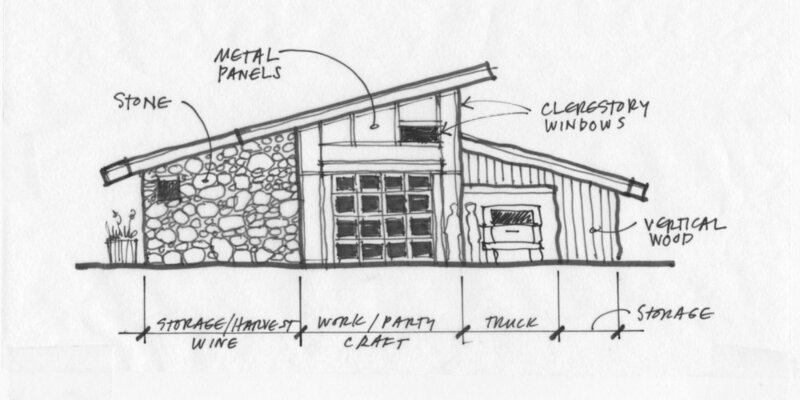 Once the quintessential design has been honed further, we get into the design development stage, creating floor plans, elevations, and details in the computer. We also begin the process of choosing materials, finishes, fixtures, appliances, etc. We will help guide every decision necessary to complete your project. 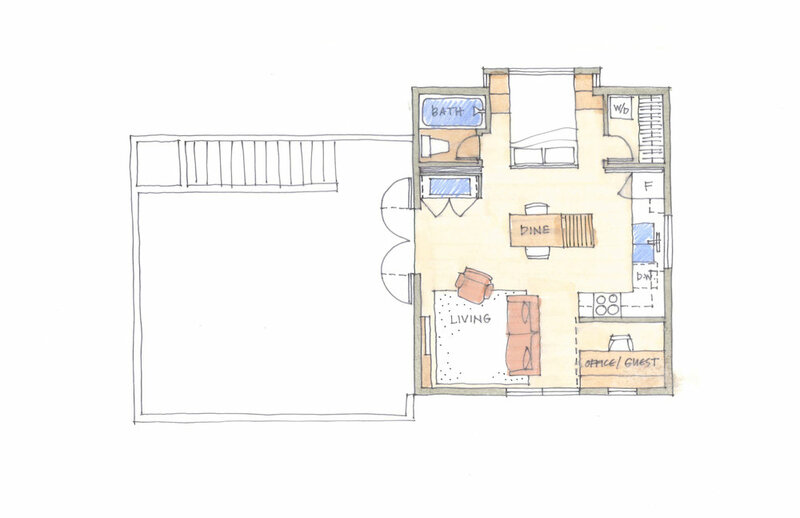 We can use multiple techniques to convey our design intent; whether it be simple floor plans, or sketch overlays on photographs, or even 3D computer models. We will use your preferred method(s) to be sure our intentions are clear-cut and understood.